A prerequisite for writers? Amitav this is us! Not me! 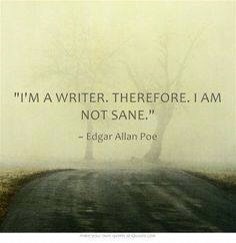 Haha nothing sane about me! 😜 yup much more fun! Prerequisite. No. Highly encouraged. Yes.